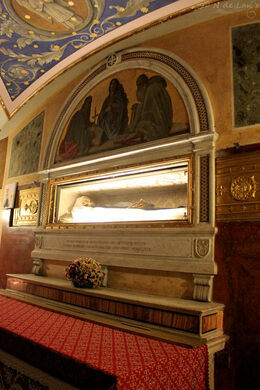 St. Francesca Romana, patron saint of drivers, resides in the church she founded. This 8th-century basilica houses the skeleton of its namesake, still wearing her habit and clutching her prayer book in the crypt below. St. Francesca Romana founded the Olivetan Oblates of Mary in 1421, a religious order for widowed women that cared for the poor and sick. Despite her piety, she had a dark side too. She was known for her unusually harsh mortifications including whipping herself with metal chains and burning herself with animal fat. For a while she even drank from a human skull in an effort to ward off the devil. During the restitution of the Forum to its original form, many constructions that had covered the sites of ancient imperial temples and basilicas were destroyed. The St. Francesca of Romana church is rumored to be the only surviving example of Christian intervention in the Forum. 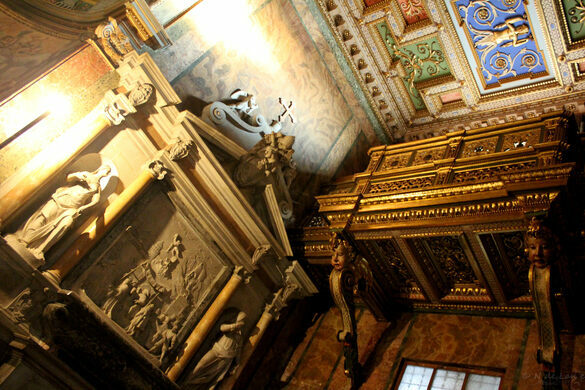 The church itself is said to be built on the spot where Simon Magus (a favourite of emperor Nero at the time) used black magic to fly, as part of a “miracle contest” between Simon and St. Peter. 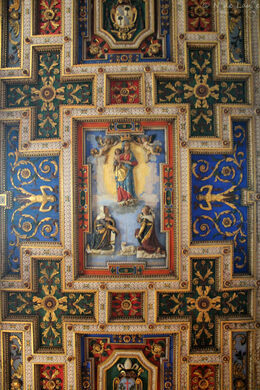 The apostles Peter and Paul prayed that he would fall. When God granted the apostles’ request Simon fell from the sky, broke both legs and was then stoned to death by an angry mob. The marble where the apostles knelt miraculously had their knee-prints pressed into it. The stone was removed and inlayed in the floor of the church. 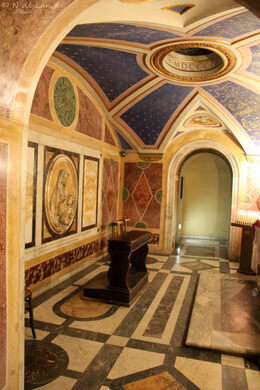 It can be found on the right hand side wall of the sanctuary, close to the tomb of Gregory XI. In the sacristy is a 6th century colossal painting Vergine col Bambino, which may have come from Santa Maria Antiqua, and it is one of the most ancient Christian paintings in existence. 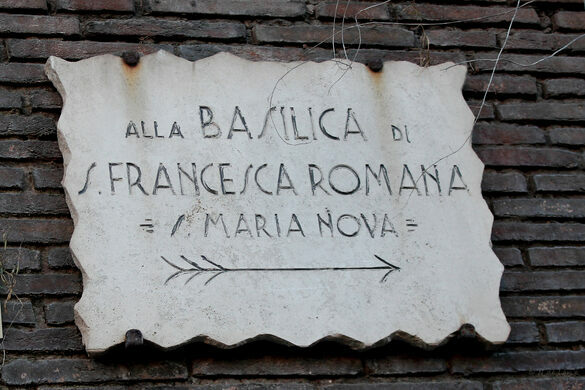 Francesca Romana is also the patron saint of drivers since it’s said that her path was always lit by an angel. On her feast day, March 9th, people park as closely to the church as possible to have their cars blessed (which of course causes an unbelievable traffic jam even by Roman standards). Enter at the side of the church from Via dei Fori Imperiali, not though Palatine Hill (which charges an admission fee). Veer to the right as you’re walking towards the Coliseum and go up the ramp past the porta-potties. If the gate on that side isn’t open then the church is closed – check back later.